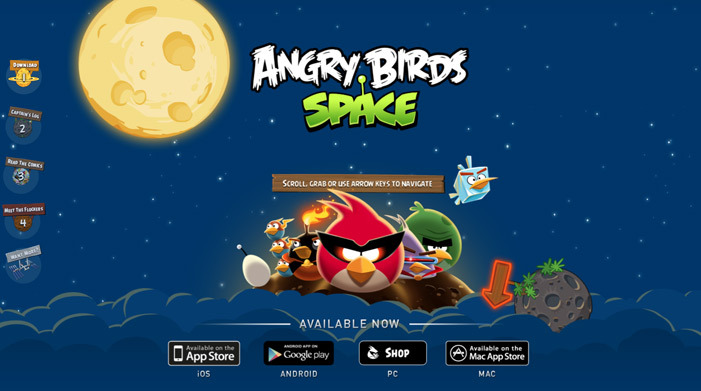 The new Angry Birds Space is all about gravity and orbits. We decided to design the website around these elements whilst keeping the birds we all love in the spotlight. The experience is designed to be tablet – and mobile friendly.